saving in time and money by using our carefully crafted GATE courses. more success rate than that of classroom batches of other institutes. increase in marks of other classroom students who also joined our courses. Exergic is the brainchild of Chandresh Kr. Mahajan, AIR-37 (GATE 2014) in the first attempt. He resigned from Indian Oil Corporation Limited (IOCL) to coach GATE & ESE aspirants. Exergic is now a team of 15+ All India GATE, ESE and ISRO toppers from Mechanical & Civil engineering. • Within a short span of 2 years, our Question bank and Test Series have become the 1st preference among sincere aspirants. 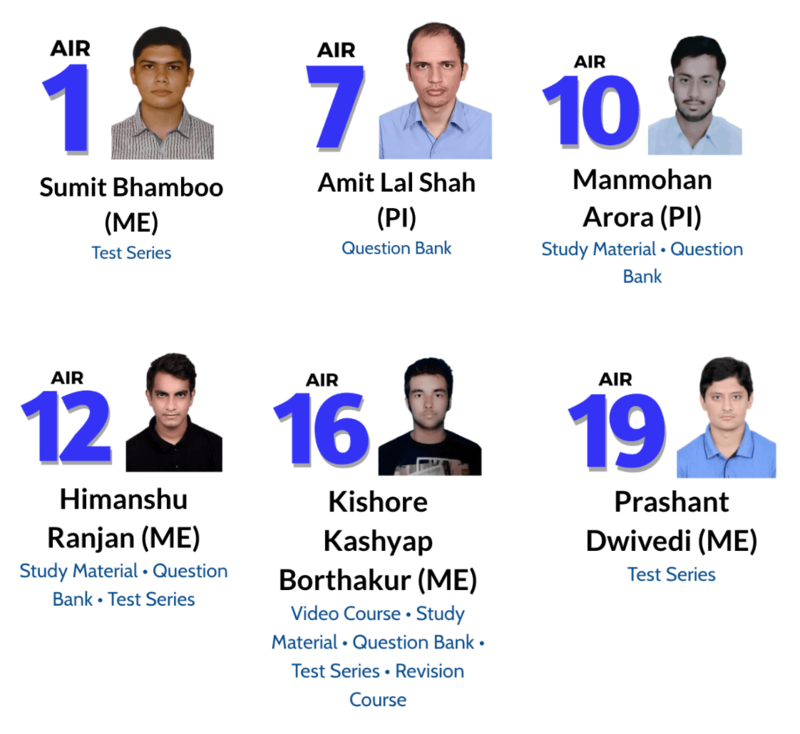 • A number of direct questions in GATE 2018 & 2019 have come from these courses making them very popular among aspirants.